Kabir and Kashish have been the best of buddies ever since. Everyone saw them to be head over heels with each other, but they were not! Years later they meet only to have Kabir realise that he is in love with Kashish. As fate could have it Kashish is also in love, but with someone else! Who is this interloper? Why all of a sudden Kabir has been put inside a police lock up? What has he done? Will Kabir ever be able to express his feelings to Kashish or he will have to spend rest of his life waiting for his soul mate? 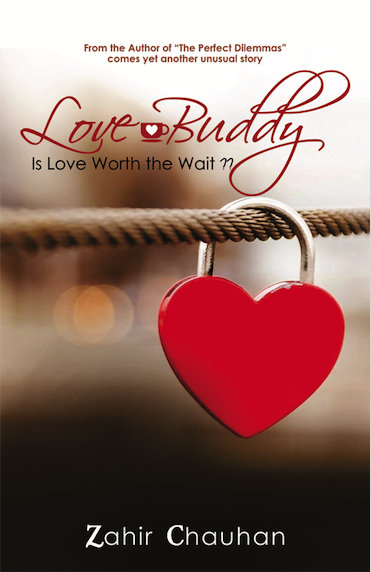 Is love worth the wait? Zahir Chauhan is an aspiring change-maker in this fast moving world where everyone seems to forget the simplest things in life - to live it with complete non-seriousness yet with immense focus, like a game. He has completed his Post graduate management studies from Singapore. 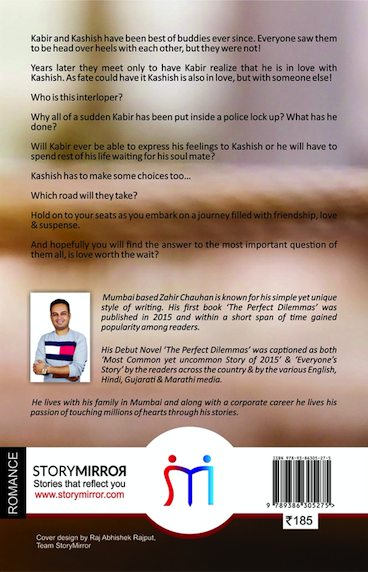 He lives with his family in Mumbai, where he successfully balances his corporate career with his passion for writing. During his free time you would probably find him spending quality time with his adorable daughter & family, or busy penning his next adventure on paper.